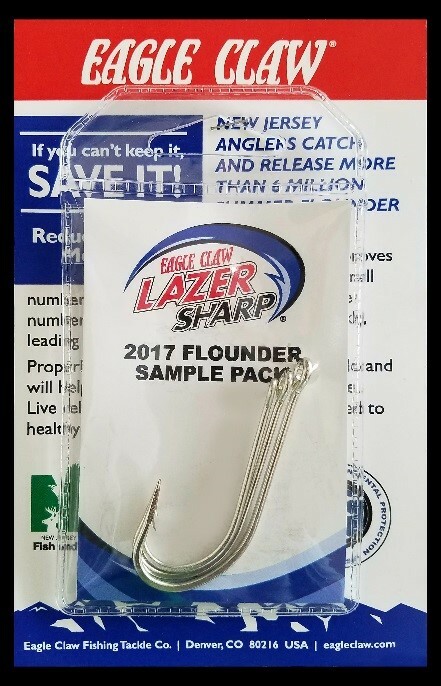 (17/P76) TRENTON – The Department of Environmental Protection has begun distributing 20,000 free larger J-hooks to help reduce summer flounder mortalities as part of its campaign to educate the fishing public on how to safely release summer flounder that do not meet minimum size requirements. Summer flounder, or fluke, is one of New Jersey’s most important recreational and commercial fish species. The “If You Can’t Keep It, Save It!” campaign focuses on the proper methods and gear to use to reduce unintentional mortalities that can occur when flounder that do not meet minimum length requirements are returned to the water. The DEP’s Division of Fish and Wildlife, in coordination with the American Sportfishing Association and Eagle Claw Fishing Tackle Co., are distributing larger-sized J-hooks that help anglers land bigger fish and reduce the potential for discards. These hooks are available at bait-and-tackle shops. They can make a difference by reducing the number of smaller fish that are caught as well as risk of serious injury to these fish. DEP Deputy Commissioner David Glass was joined by New Jersey Division of Fish and Wildlife staff today for the distribution of hooks at Fisherman’s Supply Co. in Point Pleasant Beach. “Whether you are a seasoned angler or it’s your first time fishing, it’s important for everyone who reels in a fish to be educated on the proper ways to handle them in order to best preserve current and future stocks,” Glass said. For a list of shops, click on the logo above or visit: www.SaveFluke.nj.gov or follow the New Jersey Division of Fish and Wildlife on Facebook at NJFISHANDWILDLIFE. The “If you Can’t Keep It, Save It” campaign builds upon the FishSmart campaign promoted by the National Oceanic and Atmospheric Administration (NOAA). It features distribution of print and electronic brochures to anglers registered through the state’s Saltwater Registry, charter and party boat operations, bait-and-tackle shops and members of fishing organizations, as well as radio public-service announcements and newspaper advertisements. The DEP’s Division of Fish and Wildlife is also doing outreach through its website, email lists and social media. U.S. Department of Commerce Secretary Wilbur Ross recently affirmed New Jersey’s size, bag limit and season length regulations for the current summer flounder season. NOAA falls under the jurisdiction of the Commerce Department. The summer flounder season in New Jersey began May 25 and runs through Sept. 5. The minimum size is 18 inches for summer flounder for most coastal waters, including the ocean, estuaries and creeks. Anglers in these areas may keep three legally sized fish per day. 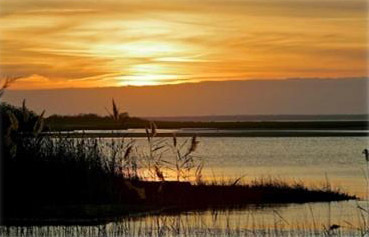 The size limit for Delaware Bay is 17 inches, with a three-fish per day limit. At Island Beach State Park the size limit for shore fishing is 16 inches, with a daily two-fish limit. Plan ahead – Expect to release fish and have the necessary equipment to do so, including de-hookers and nets; more experienced anglers may also consider using a recompression tool, a device that allows fish to be returned to the water at a safer depth. Use appropriate gear – Use gear suited to the size of the fish that you are trying to catch; 5/0 to 7/0 size hooks are recommended to successfully land bigger fish and reduce discards. Handle fish carefully – Use knotless, rubberized landing nets and rubberized gloves to avoid removing the protective slime layer on fish and help ensure survival when the fish is returned to the water. Earlier this year, a regional fisheries management board voted to increase the size of fish that could be legally taken in New Jersey, a move that could have had severe economic impacts on the shore tourism economy. The DEP provided NOAA with data that demonstrated that the increased size limit would have resulted in high rates of discard mortalities and would have forced anglers to keep female breeder fish, which account for the vast majority of the largest fluke found in New Jersey waters.